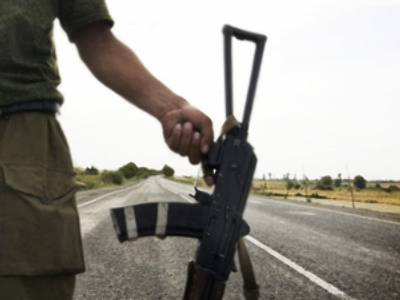 Russia’s Foreign Ministry says its troops stationed in South Ossetia are on high alert. This comes after reports of further shelling of the republic by Georgia. The South Ossetian Ministry of Defense says the village of Otrev, near the capital Tskhinval, was attacked on Monday evening. 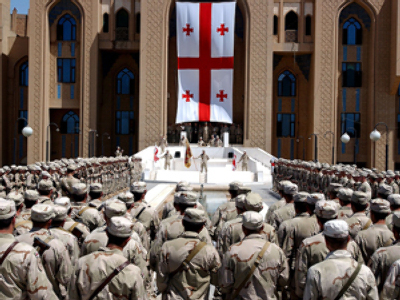 “The situation is really worrying as provocation from the Georgian side continues on the eve of the first anniversary of the August 2008 events. Due to this, Russian army units and frontier guards stationed in South Ossetia have been put on alert,” said Andrey Nesterenko, the Russian Foreign Ministry’s spokesman. “We have been and will do everything to ensure that,” Nesterenko added. Irina Gagloeva from the Committee for Information and the Press in South Ossetia said the attacks from Georgia have recently become more frequent. “The Ossetian village of Otrev was shelled from inside a Georgian village. Shells were fired from mortars. There were two of them. Now, an operational investigative group is working there to find out more details of what happened. However, one can be absolutely positive that this is another of the usual Georgian provocations which have recently become more frequent. This is the fourth shooting attack over the last two weeks,” she said. The attack on Otrev is the latest in what Russian authorities are calling a series of provocations from Tbilisi. Moscow has warned it may use force to protect the republic if the firing continues. Meanwhile, Tbilisi has accused Russia of trying to shift the border between Ossetia and Georgia. Moscow denies this, saying it is implementing traffic control measures. At midnight the border between South Ossetia and Georgia has been closed. “In order to protect the republic’s population from swine flu and, also, to prevent all sorts of provocations from the Georgian side, the state border between the Republic of South Ossetia and Georgia should be closed today at midnight,” President of South Ossetia Eduard Kokoity said after the Security Council meeting on Tuesday. Therefore, traffic movement across the border, as well as crossing it on foot has been stopped. As the situation in South Ossetia is getting tense, President Kokoity is seeking to strengthen the government. On Tuesday, he sacked the prime minister and dissolved the government. He underlined, however, that the premier was dismissed for health reasons. Kokoity stressed that there are no political or administrative motives behind the dismissal of the government Aslanbek Bulatsev. The South Ossetian president said he thinks the new government will be more active and solve problems more effectively. “The new government of the republic will be announced within two days. There are several worthy candidates for the post of its head,” he said. “Before the elections, I promised that part of presidential powers will be passed on to the parliament and the government. This process is now speeding up,” Kokoity said. Russian troops have been legally based in South Ossetia and Abkhazia after the two republics signed deals on cooperation and protection with Moscow. Despite these measures, some locals are still worried. “A lot of residents in Tskhinval have left the republic after the shelling, because the mere thought that another war will start is terrifying. A lot of people have left the republic together with their children,” local resident Maya Khorebova said. On August 8, 2008, Georgia attacked South Ossetia, leaving many without a home or loved ones. The assault was only stopped when Russia’s 58th army stepped in. Nearly 80% of South Ossetians carry Russian passports, and Moscow said the move was in compliance with its peacekeeping obligations and aimed at protecting Russian citizens in the republic. Many analysts say the actions shattered Georgian president Mikhail Saakashvili’s dream of his country joining NATO. “It was clear right after Saakashvili’s attack against South Ossetia that Georgia would not be a NATO member any time soon, or at least until he is in power in Georgia. Because, basically, neither Germany nor France or any other country wants a conflict with Russia,” political analyst Dmitry Babich told RT. Shortly after the fighting ended, Moscow recognized the independence of South Ossetia and Abkhazia, despite international criticism.